So, I'm kind of in love with my new shawl collar car coat. It arrived on Thursday and I've worn it every day since. It's chic, cozy and the perfect piece to throw over just about anything. What more could you ask for? 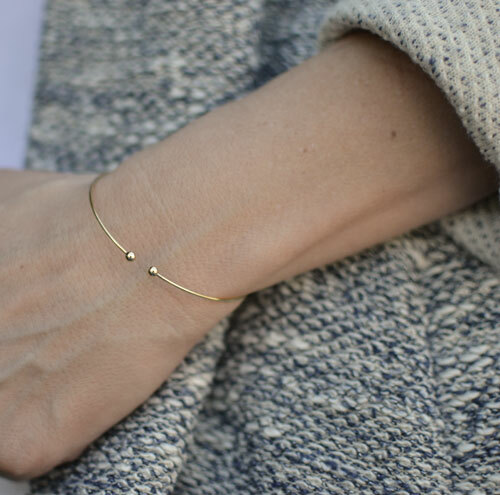 Another thing I'm loving....thin gold bangles. LOVE this one. Love that collar car coat! Looks great on you! I love the way bangles look, but they get in the way when I'm typing. That bangle would be perfect! This is such a cozy and comfortable look. Obsessed with that bracelet! i love this look! i adore your coat look so warm! I really like this type of coats. They like cross between cardigan and coat.